To celebrate the release of what will probably be the biggest PC game of the year (sorry Crusader Kings II, I still love you), here's a big collection of concept and promotional art from Diablo III. 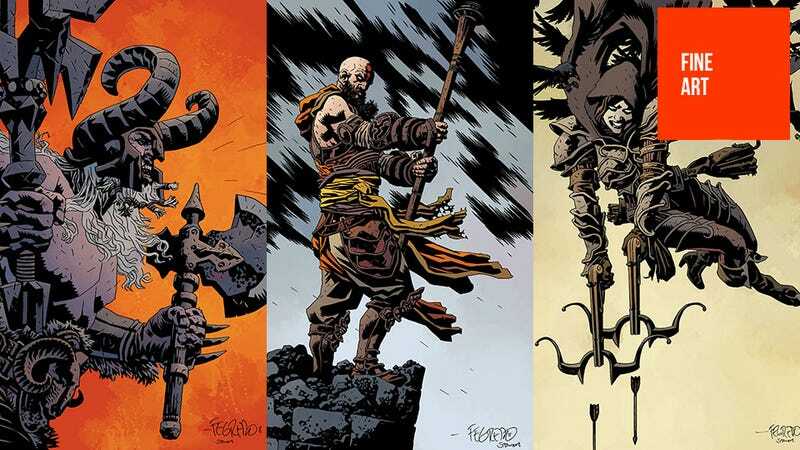 You'll find character art, environment art, images that appeared on things like magazine covers, and even some amazing class pictures drawn by Duncan Fegredo (whose Mignola-esque style, seen above, got him a regular gig on Hellboy a few years back). Other artists featured include previous Fine Art subjects like Mathias Verhasselt and Phroilan Gardner. Many of these images are big, so if you're in need of some new Diablo III wallpaper, you're in luck.